The account of the siege of Czestochowa which we present here is based on the Memoirs of the Siege of Czestochowa by Father Augustyn Kordecki and the reflections of Professor Plinio Corrêa de Oliveira. 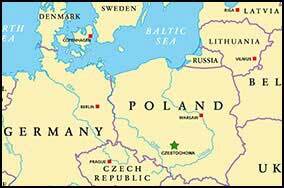 Poland stands in the middle of vast plains and rolling hills. With few natural barriers, armies have overrun the country many times through history. Strong fortifications became the norm for castles, important towns, and even monasteries. During the religious wars of the 17th century, the Protestant and Catholic powers vied for dominance in Europe. In 1655, King Charles X Gustav of Sweden launched an invasion known as The Deluge. Protestant Swedish soldiers soon overran Catholic Poland, desecrating churches and plundering the countryside. The monastery of Jasna Gora (Polish for Bright Mountain) stood like a bastion in the medieval city of Czestochowa, the last remaining holdout. 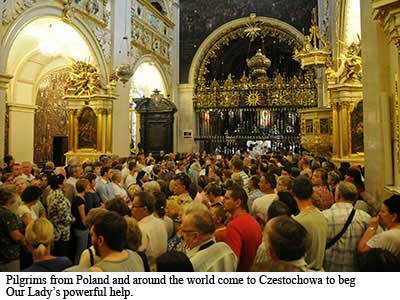 This symbolic heart of Poland was home to the miraculous icon of the Black Madonna of Czestochowa. With only 70 religious, a handful of nobles and their servants, and 160 infantrymen, Father Augustyn Kordecki led a heroic resistance against overwhelming odds. In one of the greatest interventions of Our Lady in history, the Siege of Czestochowa shows the power of confidence in the Mother of God to change certain defeat into a stunning victory. Tensions were high. The news was not good. 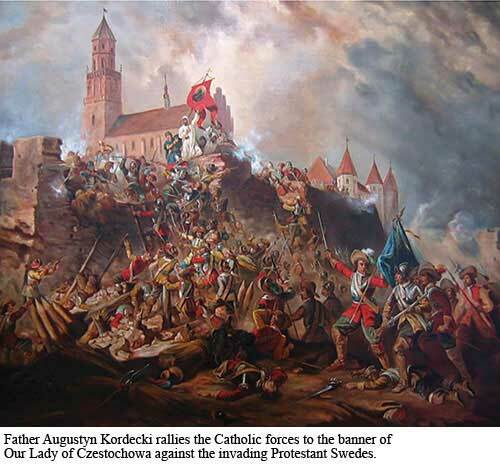 The Protestant Swedish army had swept through Catholic Poland, virtually unchallenged. Now, after conquering Krakow in the far south, King Charles X. Gustav of Sweden ordered an army of 2,250+ men with 19 cannons, under the command of General Burchard Miller, to take the fortress—sanctuary of Czestochowa. “We must not let them take her!” Father Augustyn Kordecki’s clenched fist hit the thick slab of wood that served as a table with a thud. The men gathered around him and rose as one. 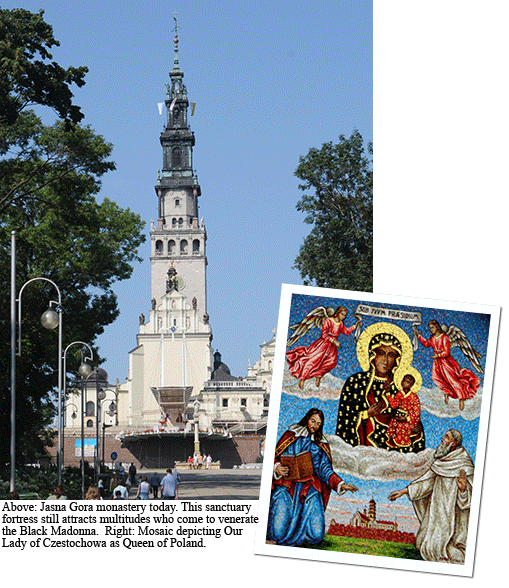 They knew they must protect her at all costs—The Black Madonna of Jasna Gora. 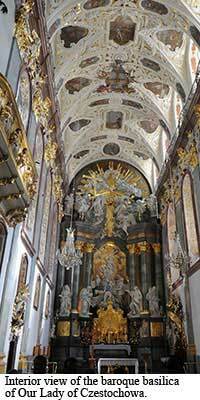 Many of the Catholic nobility fleeing before the Swedish advance sought refuge in Jasna Gora. 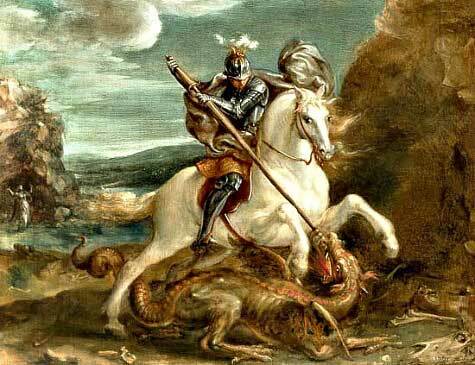 One of them, Count Stephan Zamoyski, counseled the religious not to give in to the enemy, and affirmed that those who sought refuge there were prepared to die in defense of the holy place. Far from relying on material resources alone, Father Kordecki encouraged all to place their hopes in the Blessed Virgin, “who in such an extreme necessity would not fail them with her help.” He asked them to be present at the Mass he would offer before the sacred Image of Our Lady of Czestochowa. He also ordered that the Blessed Sacrament be carried in procession along the walls and bastions. Father Kordecki personally blessed the cannons, cannonballs, bullets, and barrels of powder! In November of 1655, the Swedish army reached the foot of the monastery. General Miller sent a written peace proposal to the monks, urging the surrender of Jasna Gora so as to avoid “unnecessary bloodshed.” The troops of General Miller were already in position for the siege, and his soldiers studying the positions of the cannons of the fortress. “It did not seem fitting to answer that letter in writing,” reported Father Kordecki. “It was no longer the time to write, but the time to take up arms... We answered by the muzzles of our cannons...” The answer was so convincing that General Miller was forced to beg for a truce. He sent another delegate to try to convince the Friars to surrender, warning them that the resistance of Jasna Gora was unreasonable in view of the fact that the entire country had already surrendered. Infuriated, the Protestant army concentrated a three-day attack on Jasna Gora, launching grenades and cannonballs, trying to set fire to the monastery. By night, they dug trenches leading toward the walls. In the midst of the noise of the bombardment, a pious and sacral hymn was mysteriously heard, coming from the height of the tower of the sanctuary, and giving new energy to the defenders. From then on, it became customary to hear in the midst of the fight, hymns which emanated from the majestic tower. One of the five nobles who defended Jasna Gora, Sir Piotr Czarniecki, Commandant of Kiev, decided on a bold strike against the Swedes. Sallying forth at night with a detachment of soldiers, he managed to get into the rearguard of the enemy camps without being detected. Commander Czarniecki dispatched the commandant of artillery with various officers and soldiers. The skirmish was successful; after seizing two cannons he returned to the monastery within the walls. This incident resulted in great confusion and panic among the Swedes, many of them coming out into the open. The cannon of Jasna Gora completed Czarniecki’s blow by eliminating more of the besiegers. Meanwhile, Czarniecki lost only one of his men in the expedition. Convinced that it would not be easy for him to take the fortress, General Miller sent a message to Count Arvid Wittenberg, commander of the Swedish armies in Krakow, asking him to send a cannon powerful enough to break down the walls and additional infantry. General Miller knew that his messages were presented before all the monks and many of the civilian defenders as well. In this way, he played on public opinion against Father Kordecki. The following day, Father Kordecki was informed that some members of the garrison were plotting to flee. Acting immediately, he expelled the chiefs of the revolt from the fortress, increased the salaries of the garrison, and obliged all to swear an oath that they would fight until the last drop of their blood. To gain time, two religious were sent to the Swedish camp, under the pretext of studying the proposals of General Miller. The Father Prior continuously tried to entertain the enemy with this exchanging of messages. Part of his strategy was to delay things so as to push the siege until winter became more intense, or reinforcements arrived. Father Prior did everything possible to rescue the hostages, accusing General Miller of violating the law of nations, the right of immunity of delegates, of showing himself a man without honor. The strategy had an impact on General Miller and he freed one of the hostages. The Protestant General hoped the hostage would tell what he had seen in the enemy camp. This in fact took place and after relating what he had witnessed, the monk concluded by saying it was madness to continue resisting in the face of such a powerful enemy. Nevertheless, the monk also declared that he was prepared to give his life if his superiors decided otherwise. Thus, the first hostage returned to the Swedish camp, prepared to sacrifice himself for the glory of God. General Miller pondered the situation and decided to send the second hostage, only to get the same results. The second hostage was returned to him proclaiming his willingness to die for his God and his country. Both were to be executed the next day by hanging. They exclaimed to the shock of the Swedes: “Why may we not die today, if we must be immolated tomorrow for God, for the King and for our Fatherland?” On the following day, the execution was postponed indefinitely. In spite of all this, General Miller sent yet another messenger demanding surrender. Father Kordecki answered him by asking: what guaranty could he have that the Swedes would fulfill the agreements they made, if they kept his delegates hostage? Disappointed in his hopes to take Jasna Gora by peaceful means, General Miller ordered the freeing of the two hostages. On the eve of the Feast of the Immaculate Conception, another Polish noble was sent to the fortress to press the monks to surrender. But to the great surprise of the monks of Jasna Gora, he encouraged them not to give up, saying that the invading armies had begun to suffer their first defeats, and that the violence of the Swedes— sacking of the nobles, murders of priests, profanations of churches, violations of women—were stirring up great reactions in the country. The following day, one of the villagers, disguised as a Swedish soldier, reached the walls and informed its defenders that the besieging army was about to receive six heavy cannons from Krakow plus reinforcements of 200 infantrymen. On a more positive note, the monks learned that the Tartars, a Turkic people living in Asia and Europe, were joining the ranks of the Polish army, increasing the chances of a Catholic victory. He also threw in a letter signed by the prior of the Paulist Convent in Krakow, which described the atrocities committed by the heretics and recommended Father Kordecki not be deceived by General Miller’s promises. A little later, a Tartar, permitted to come within the walls, after contemplating the sanctuary, surprised the monks with words of encouragement, urging them not to permit that “perjurers occupy the place consecrated to the Most Pure Virgin.” With all these events, the Catholics recovered their confidence. With the peaceful strategy having failed, General Miller decided to launch a brutal attack upon the walls of Jasna Gora. The bombardment of the monastery took on a terrible fury and it was as if “hell itself was vomiting against the sacred icon.” Undeterred, the monks carried out their customary ceremonies in honor of the Blessed Sacrament. 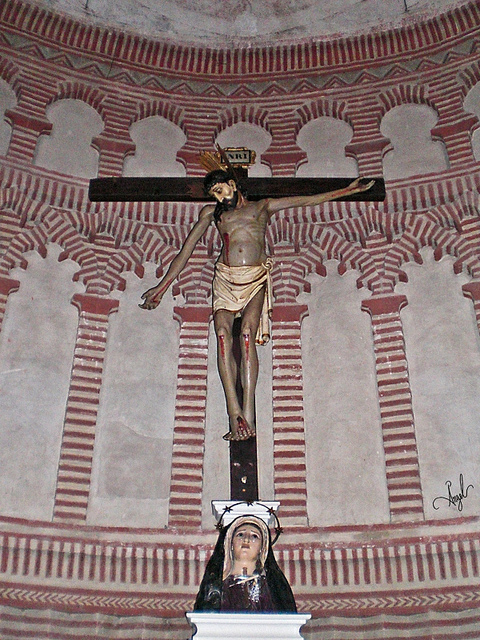 The Holy Eucharist was carried in a procession along the walls. Father Kordecki said that the cannonballs passed close to the heads of the defenders, but that only after the ceremonies did they respond to the attack. By now, the winter was becoming more intense, so the Swedish soldiers lit bonfires at night. In this way they revealed their positions, becoming easy targets. They quickly learned that, between cold and death, it was better to be cold. The Swedes were easily repelled, because their movements showed up against the snow. But a dense fog covered the mountain, making it possible for them to move their assault machinery closer, unperceived. To combat the fog, the Prior selected one of the religious to “cry out for help from the powers of God against the spells of the enemy.” This tactic cleared the darkness from the air, and once again the Swedes were exposed. Some of the nobles who had taken refuge began suggesting to the Prior that he reach an agreement with the enemy. The Swedes have dominated the whole country, they said, and will not be intimidated. We have no prospects of receiving reinforcements. So, why not accept an accord with the Swedes, while our situation is still good? It was now Christmas Eve and the religious spent all night awake: some watching on the walls, others encouraging the garrison; but the majority stayed in the church praying. Father Kordecki reported that, at nightfall, finally, one of the heavy guns which was doing the most damage, burst, putting an end to the attack. A report from an eye witness related that the last shot from that cannon had bounced back from the wall hitting the cannon, destroying it and killing the gunner. Never allowing the discomforts of war to interfere with their devotions, the monks continued the commemorations of the Nativity, with chants and ceremonies. In hearing hymns of praise, rather than cries of defeat, the Swedish troops thought that it was the celebration of some victory, and began to abandon their positions. The officers concluded in their turn, that the besieged forces must be very well provisioned in food and in munitions, to permit themselves such festivities. Thirty-eight days after the beginning of the siege, the heavy guns were retired from their positions; the next morning, the commanders withdrew. According to the direct testimony of the Protestant Swedes themselves, it is clear that Jasna Gora was defended miraculously. Lord Grodzicki, Commandant of artillery, revealed that General Miller had said that the only motive which led him to end the siege of Jasna Gora was the word and the menacing face of a noble lady, who appeared before him, leaving him perturbed. The report circulating among the Swedes was that General Miller lifted the siege because he was deceived by a maiden at the service of the monks. What was said among the people, however, was that the general was severely warned by a lady who appeared to him. Once the faithful forces had been gathered together, the King of Poland made his way to the Cathedral of Lwow, and there proclaimed Our Lady of Czestochowa Queen and Mother of Poland.